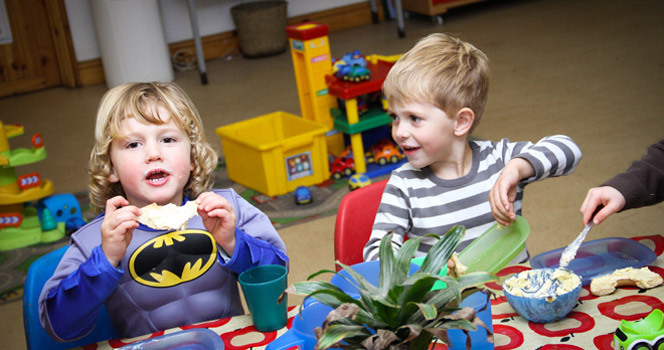 Strawberry Patch Nursery has a very large main room with lots of smaller areas incorporated for children to explore, discover, learn and develop the skills they need for life. This room caters for pre school aged children. Our staff have recognised qualifications in childcare. We have a strong team of experienced staff who vary in ages. Some have been with the nursery either a number of years or since we opened in 2003. We always work on a high ratio with the Manager and Day manager supernumerary and at least one student in on every day.